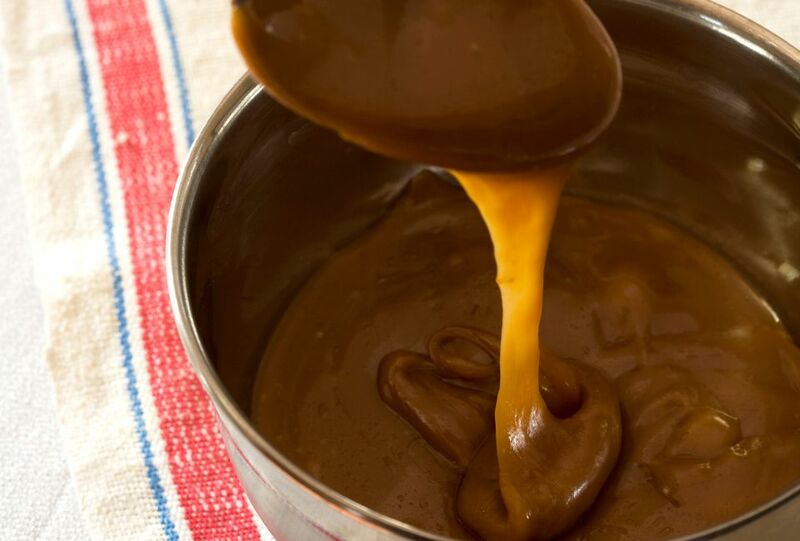 This wonderful creamy caramel sauce is a snap to prepare and it's delicious over ice cream or bread pudding. Mix sugar with flour in ​a saucepan; blend well. Add water and salt. Stir while cooking for 6 to 8 minutes. If too thick add a little more water. Remove from heat; stir in butter, cream, and vanilla to taste.